No matter how long a couple has been together, it’s still important to make time for each other, and after more than 20 years, it can seem like a challenge to find somewhere new and exciting to get away as a couple. With our children off at camp for several weeks each summer, my husband and I have discovered a whole new opportunity to explore new places – just the two of us. 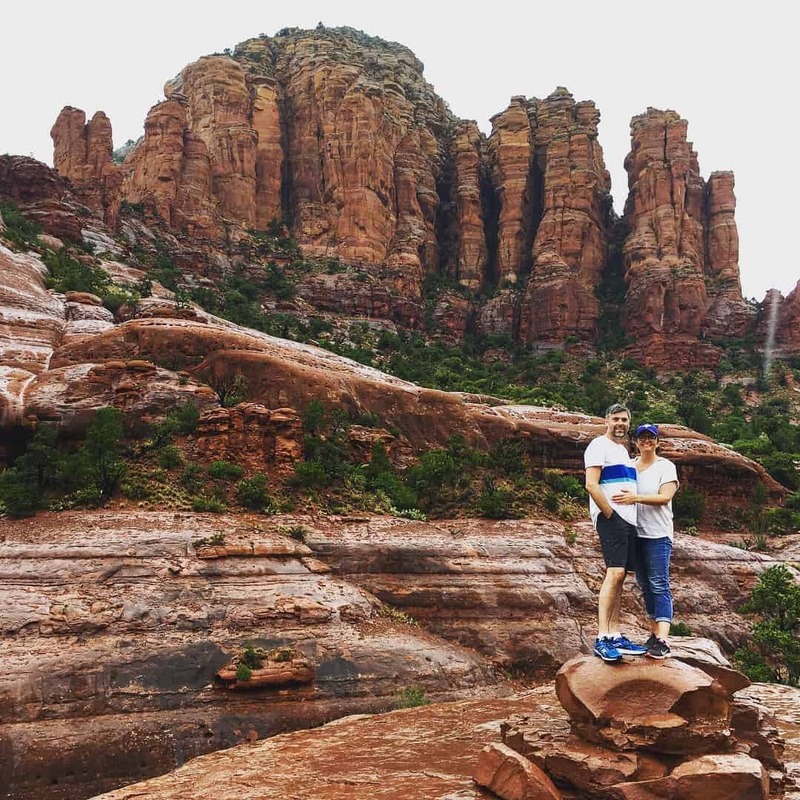 This summer, we chose to travel to Arizona for a couples’ getaway. Now, you may think that Arizona is strictly a winter destination because of its hot, dry climate, but we discovered that there’s not only a wide array of things to see and experience in an Arizona summer, but also an equally wide range of climates in this diverse state. And there are some great benefits to traveling during low tourist season, including lower prices and fewer crowds at popular destinations. Arizona is the Grand Canyon but much, much more! We began our adventure in Scottsdale, an easy drive from Phoenix, where we rented a car at the airport. Scottsdale is well-known for golfing and typically offers a relaxing, resort experience, and our stay at the Scottsdale Resort at McCormick Ranch was no exception. The resort was perfect for a couple’s getaway; it’s an ideal location that’s a bit removed and yet still close to everything. It’s only a short drive into the shopping, dining, and cultural experiences in nearby Phoenix. After a great breakfast at the resort, we spent the morning poolside and then drove into town for lunch at the Phoenix Public Market Café located in a historic building in downtown Phoenix. This casual urban hangout serves fresh market cuisine crafted with seasonal ingredients and was a great place to grab an excellent meal before walking to our next stop, the Heard Museum. The Heard Museum was founded by Dwight & Maie Heard in 1929 for their personal collection and is dedicated to the sensitive and accurate portrayal of Native arts and culture. The museum boasts an extensive collection and is recognized internationally for its quality. During our visit, the museum played host to a Frida Kahlo exhibit with original art. This was definitely a highlight. Back at the Scottsdale Resort at McCormick Ranch, we enjoyed an excellent meal at Kitchen West Restaurant. This lively eatery focuses on using the best local ingredients to create a whimsical seasonal menu with a focus on western American fare. We particularly enjoyed the fried cheese curds! The next morning, our travels took us to Mesa, located in the beautiful Sonoran Desert that is iconic Arizona, where we drove Arizona’s Historic Apache Trail. This trail through the mysterious Superstition Mountains and into the foothills of the Tonto Natural Forest – the fifth largest forest in the United States – is one of the most popular day trips for visitors to Mesa. To this day, the area continues to pay homage to its Western roots which took shape in the late 1800s, including an authentic old west stagecoach stop, a ghost town, and the famous Elvis Presley Chapel. The trail itself is beautiful and we really enjoyed the desert views and unique flowers and plants, and one very unique restaurant in the town of Tortilla Flat. Founded as a stage stop in 1904, Tortilla Flat is the only original stop on Apache Trail – a town with a population of 6 where visitors can stop for a taste of authentic Old West fare, including killer chili along with modern treats like prickly pear ice cream. The unique view from The Dolly Steamboat. While you’re traveling the Apache Trail, don’t miss the opportunity to visit the Superstition Mountain Museum, which is rich with information on the geological history of this rugged area as well as an authentic feeling of what life was like during the gold rush at the turn of the last century. 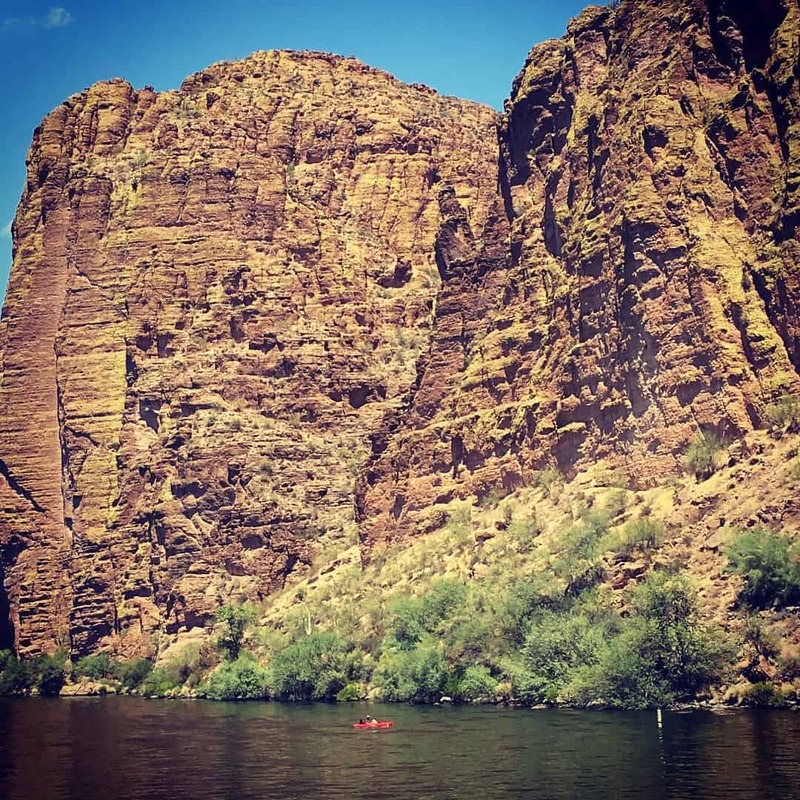 Another unforgettable experience in the Apache Trail area is the Dolly Steamboat cruise on Canyon Lake. This sternwheeler straight out of a Mark Twain novel takes you back to a simpler time as you travel across a lake in the middle of the desert to see vistas only accessible by boat. The weathered, steep red canyons are home to majestic bald eagles which we were thrilled to see on our visit. Heading back towards Phoenix, was one of the highlights of our trip, a sunrise balloon ride with Hot Air Expeditions. An absolutely incredible experience and the ideal way to start the day. 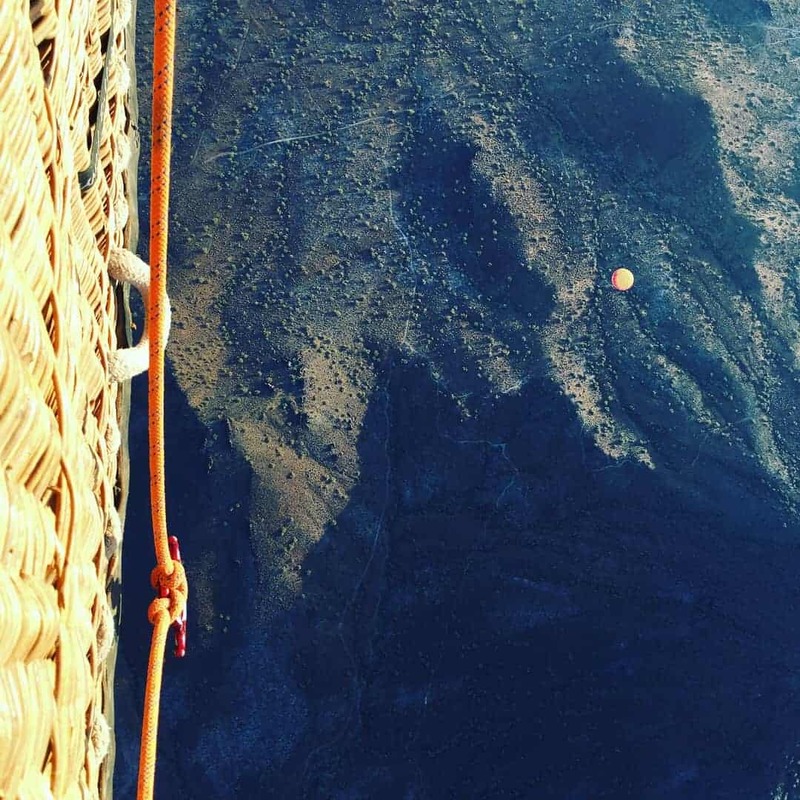 We were treated to a beautiful sunrise and the opportunity to see the landscape from a different perspective and get a greater appreciation for its vast scale and finished it off with breakfast and a champagne toast on the ground. Spotted another balloon far below. After our exhilarating balloon ride, we headed to the Queen Creek Olive Mill where we enjoyed the tour and gift shop where we bought several different items made with the oil produced on site (including cooking oil, soap and skincare products). We stayed for lunch at del Piero, the Mill’s restaurant. The restaurant is another excellent example of the vibrant farm-to-table movement in Arizona, and the menu items feature dishes made with their own olive oil including amazing sandwiches, bruschetta and paninis. The food here was amazing and I would highly recommend it! The next leg of our journey was a two-hour drive to Tucson, where we stayed at the Hilton Tucson El Conquistador Golf & Tennis Resort, which was an absolutely beautiful resort with stunning views. Our first activity in Tucson was a guided horseback ride with Pot A Gold Adventures next door to the hotel, which I’ll admit I was a little apprehensive about. However, the guide running our experience was amazing and with her support I was able to not only ride without fear, but have an incredible experience that I wouldn’t hesitate to try again. 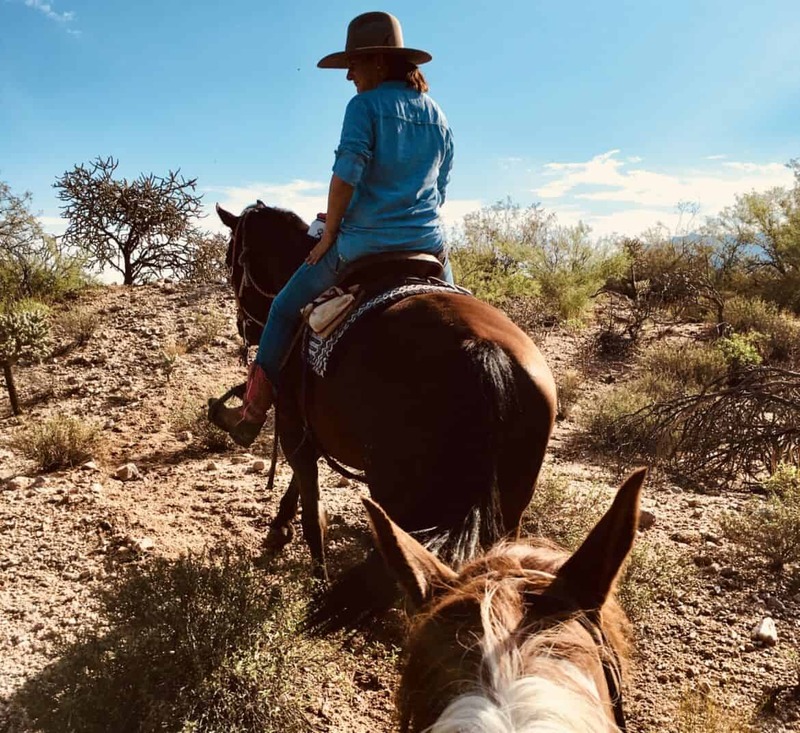 Trail rides in Arizona during summer can be very hot, but one way to get around this is to take an early morning ride (as we did) or an evening ride, which has the added benefit of being less crowded so you can enjoy being in a smaller, quiet group and spending time with your partner. An early morning ride in Tucson. After enjoying several days in Tucson, we headed north again to Sedona, where we stayed at the Hilton Sedona at Bell Rock. Upon our arrival, the resort had no power due to heavy summer monsoons, but intense summer storms are to be expected in Arizona at this time of year and they provide their own spectacle to behold. The resort managed very well without power for the short time they were blacked out, offering free food and wine to compensate guests, which made up for any inconvenience. Luckily, the spa was on a different grid and still had power, so we were able to enjoy our spa treatments. A perfect way to relax. The next day we were up and ready to hit the hiking trails and experience a jeep tour on the stunning Sedona red rocks. After the monsoon things were wet which added to the excitement but also cooled things off so we were able to be outside and enjoy the spectacular views without the summer heat. We took a Pink Jeep Tour where we were able to go to areas not accessible by other cars and hikers. What an adventure! If you have never been to Sedona, add it to your list. It is like no other place on earth with the red rocks and spectacular views. 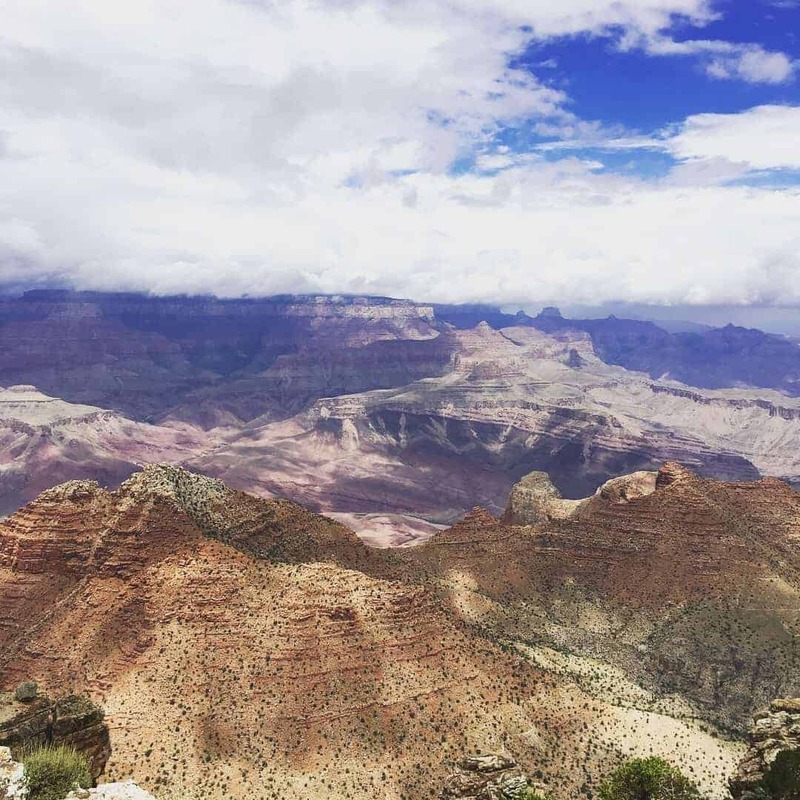 If you’re in the northern part of Arizona, you simply cannot miss taking a trip to Grand Canyon National Park. The weather during our visit was rainy and cool, and with the large elevation gains and losses in the Grand Canyon, we were amazed at the range of temperatures we experienced. However, no matter the weather, the Grand Canyon is simply a must-see. There almost are no words to describe it; its vastness is overwhelming. Expect crowds at any time of year, but no matter what the weather or how many people are there with you, there’s one guarantee I can make – you will not be disappointed. The incredible vistas are everything you would expect, and it’s the perfect romantic setting for couples. With so many amazing and unique sights to see, and so many exhilarating activities to experience, Arizona is the perfect setting for a couples’ getaway. My husband and I both agreed that we will be going back for more adventures in Arizona soon! This happy anniversary wish looks fantastic! Thanks for sharing. Thanks for sharing this tips. When is the best time to visit Arizona? Arizona is on.our list for a family trip and also for a couple get away (here we come Sedona!!) And we will be doing BOTH this year! So exciting!